Scared to Outsource? Consider These Five Benefits. 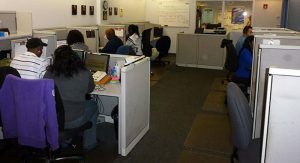 Outsourcing to a call center can be very advantageous. Some companies are hesitant, however, because they worry about relinquishing control. In most cases, the pros outweigh the cons. To set up an infrastructure in-house to handle or make high volumes of calls, you would have to put forward a significant amount of cash to buy equipment, and hire additional personnel. If you contract with an existing call center, that system is already in place. A great advantage of call centers is that they can be spread all over the world and automatically provide live customer support. If you were to try to do this in-house, you would need to have employees working in multiple shifts 365 days a year. So many different industries outsource that you will likely be able to hire a call center whose employees are already familiar with your product, cutting down on the need for extensive training. In addition to saving money by outsourcing to a call center, it can save you time by allowing you to focus on more high-value functions of your business. If your employees can spend more time developing products or marketing strategies, your business will be set up to thrive. Some call centers handle everything your company would need over the phone. Others work to focus on one specific area such as order processing or collections. This gives you flexibility depending on the specific needs of your business. Outsourcing to a call center can save you money and time, and allow your business to focus on growth and strategy. The positives are far greater than any perceived negatives.